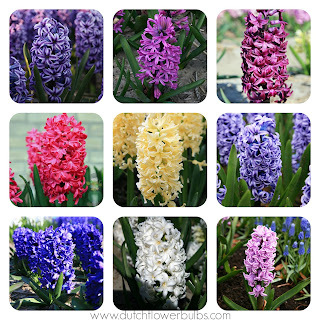 One of our customers recently asked if we wanted to write an article about the Hyacinth. Well of course we want to, so here it is! The hyacinth (hyacinthus orientalis) is a bulb and family from the Asparagus. This bulb is originally originating from the eastern mediterranean area (Mid-Turkey till Libanon). The hyacinth cultivation used..
to be booming in Turkey, later it went on to France. And nowadays, is Holland a big centre of the hyacinth cultivation. 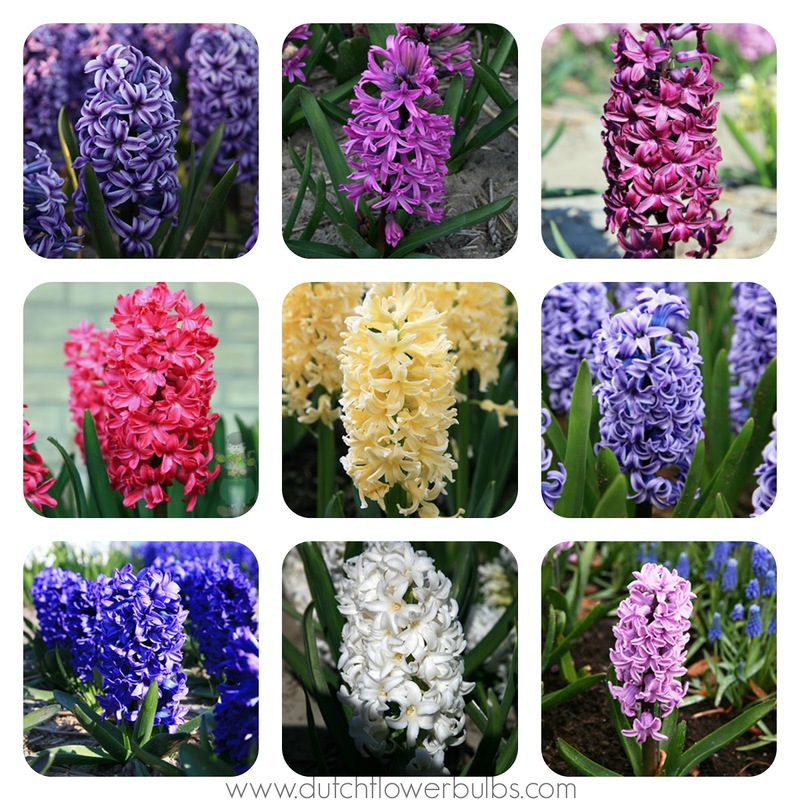 The hyacinth need to be planted in Fall and is blooming between March and May. A hyacinth bulbs has a section of 7,6'' - 17,7''. The long leaves are about 38'' - 88.9'' and 2,5'' - 7.6'' wide. The central stem is caring 2 - 5 scented flowers and is able to grow 76''-114'' up. There are discovered more than 2000 cultivars. The colors can verify from pink, blue, purple, white, yellow and red. The hyacinth can be used as houseplant, but also as cutflower. They prefer to stand in a light shaded - sunny area, because the hyacinth will fade earlier by a higher temperature. Plant the bulbs 6'' deep and 4-6'' wide. Grown hyacinths in a well-drained area, moderately fertile the soil. After covering up the bulbs with soil, water it thoroughly. After the flowers are bloomed out, cut back the flower stalks and let the leaves die naturally.